Here is the list of the hotels near Villefranche-de-Conflent. Book your hotel near Villefranche-de-Conflent today, Thursday 16 May for the best price, reservation and cancellation free of charge thanks to our partner Booking.com, leader in on-line hotels reservation. Below here is the list the 50 closest hotels of Villefranche-de-Conflent, sortable according your criteria. You will find the position of these accommodations on the Villefranche-de-Conflent hotels map. Maison les Ramparts is situated in Villefranche-de-Conflent. Free WiFi is offered. Font-Romeu is 38 km from the holiday home, while Les Angles is 43 km from the property. The nearest airport is Perpignan - Rivesaltes Airport, 54 km from the property. Located in the Natural Park of the Catalan Pyrenees, Petite Maison de Village offers self-catering accommodation with a garden. It is located in Corneilla-de-Conflent at the foot of Pic du Canigou. The house has a living room with a flat-screen TV and is also equipped with a washing machine and ironing facilities. The private bathroom has a shower, toilet and hairdryer. A stove, oven, dishwasher and microwave can be found in the fully-equipped kitchen. Restaurants and grocery shops are located a 12-minute drive away in Prades. Guests can visit the Sant Michel de Cuxa Abbey and the Saint Martin du Canigou Abbey, both of which are 8 km away. Villefranche-de-Conflent Train Station is 3 km away from Petite Maison de Village and Perpignan Airport is a 50-minute drive away. Free private parking is provided on site. Apartment Fuilla Preferred hotel ! Offering free WiFi and a barbecue, Les Hirondelles is situated in Fuilla, a 5-minute drive for the fortified city of Villefranche-de-Conflent and 56 km from Perpignan. Featuring a terrace, all units have a seating and dining area. There is also a kitchenette, fitted with a dishwasher, an oven, a microwave, a toaster, a fridge and a coffee machine. Each unit features a private bathroom with free toiletries. Linen, bath towels and pool towels are provided. Free bikes are available on site. The area is popular for cycling and canoeing. Font-Romeu is 40 km from Les Hirondelles, while Puigcerdà is 54 km from the property. The nearest airport is Perpignan - Rivesaltes Airport, 57 km from the property. Guest accommodation Corneilla-de-Conflent Preferred hotel ! Chalet Mont Canigo is set in Corneilla-de-Conflent. Guests benefit from a terrace and a barbecue. This 4-bedroom chalet comes with a kitchen, a seating area, and a cable flat-screen TV. Guests can relax in the garden at the property. Font-Romeu is 41 km from the chalet, while Les Angles is 46 km away. The nearest airport is Perpignan - Rivesaltes Airport, 57 km from the property. Apartment Ria Preferred hotel ! Set in Ria, Ria Sirach Apartments provides accommodation with free WiFi, a flat-screen TV and a kitchen. Each unit is fitted with a dishwasher, oven, a coffee machine, as well as a microwave and kettle. There is a fully equipped private bathroom with shower and a hair dryer. The apartment offers a terrace. Perpignan is 47 km from Ria Sirach Apartments, while Font-Romeu is 41 km from the property. Perpignan - Rivesaltes Airport is 51 km away. Well located in the touristic village of Vernet-les-Bains, in the heart of the Pyrenees Orientales, and at the foot of Canigou Massif, the Residence Les Balcons du Canigou is an ideal place of vacation. The residence offers 72 spacious and well-equipped apartments. On the spot, you will have access to all facilities: 2 outdoor swimming pools, of which one is heated, a sauna, fitness room, laundry and a hot tub which is upon reservation. Breakfast is also served at an extra cost. During the school holidays, the property also offers a Kid's Club (from 3-12 years) and a Baby Club (from 3 months to 3 years). Activities for adults can also be organised during this period. Providing mountain views, Villa Delphina in Vernet-les-Bains provides accommodation, a casino and a garden. Complimentary WiFi is available. A terrace with garden views is offered in every unit. A continental breakfast is available each morning at the bed and breakfast. If you would like to discover the area, fishing is possible in the surroundings. Font-Romeu is 44 km from Villa Delphina, while Les Angles is 49 km from the property. The nearest airport is Perpignan - Rivesaltes Airport, 60 km from the property. Offering free WiFi and mountain views, Appartement Cortal is an accommodation located in Vernet-les-Bains. Guests have a private terrace. The apartment has 1 bedroom, a flat-screen TV with satellite channels and a fully equipped kitchen that provides guests with a microwave. The apartment offers a barbecue. A casino and a children's playground, are available for guests at the property. Font-Romeu is 44 km from Appartement Cortal, while Les Angles is 49 km from the property. Perpignan - Rivesaltes Airport is 60 km away. Studio is situated in Vernet-les-Bains. This property offers access to a terrace. This apartment features a living room and a fully equipped kitchenette with an oven. A flat-screen TV is featured. Font-Romeu is 44 km from the apartment, while Les Angles is 49 km away. The nearest airport is Perpignan - Rivesaltes Airport, 60 km from the property. Set in Vernet-les-Bains, Canigou Lodge provides accommodation with free WiFi and access to a garden with a terrace. The units come with tiled floors and feature a fully equipped kitchen with a microwave, a flat-screen TV with satellite channels, and a private bathroom with shower and a hair dryer. A patio with garden views is offered in every unit. A continental breakfast is available every morning at the bed and breakfast. Font-Romeu is 44 km from Canigou Lodge. The nearest airport is Perpignan - Rivesaltes Airport, 60 km from the property. Hotel Princess is situated in the Pyrénées town of Vernet-Les-Bains at the foot of Mont Canigou and its Abbaye Saint-Martin du Canigou. It is located between the sea and mountains. Most of the guest rooms at Hotel Princess have a balcony with panoramic views of the village and mountains. Each room is equipped with a flat-screen TV and Wi-Fi connection. They also feature a traditional private bathroom. Guests can enjoy a continental breakfast on the terrace or in the dining room. Guests can also relax in the lounge area and make use of the library and computer with internet access in the reception. Situated in Vernet-les-Bains in the Languedoc-Roussillon region, Ancienne bergerie en pierres & son jardin features a terrace. This holiday home provides barbecue facilities as well as a garden. This holiday home comes with a kitchen, a seating area, and a satellite flat-screen TV. The holiday home also features a washing machine and 2 bathrooms with a bidet and a shower. Guests can also relax in the shared lounge area. Font-Romeu is 43 km from the holiday home, while Les Angles is 48 km away. The nearest airport is Perpignan - Rivesaltes Airport, 59 km from the property. Located in Vernet-les-Bains, this apartment features a garden with a barbecue. Vernet Jardin boasts views of the mountains and is 47 km from Perpignan. Free WiFi is provided. An oven, a microwave and a toaster can be found in the kitchen. A flat-screen TV is featured. Font-Romeu is 44 km from Vernet Jardin. The nearest airport is Perpignan - Rivesaltes Airport, 47 km from Vernet Jardin. Gites La Chataigneraie is located in Sahorre and offers 3 independent, self-catering holiday homes that can host 2, 6 and 10 people. These holiday homes share an outdoor pool, a gym and a boules court. Guests also have access to free parking and free WiFi access. The accommodation will provide you with a dining area, a seating area and a flat-screen TV with satellite channels. The kitchens are complete with a dishwasher, a microwave and a refrigerator. Several bedrooms feature private bathrooms or shower rooms. All properties have a private garden or a terrace with BBQ facilities where guests can enjoy mountain views. Extras include free bike rental and daily deliveries from the local bakery. Activities in the local area include cycling and hiking. For guests that wish to explore the local area, the village of Vernet-les-Bains is just 3 km away. Gites La Chataigneraie is 61 km from Perpignan - Rivesaltes Airport. Featuring an outdoor pool and a sauna, Villa du Parc offers B&B accommodation in Prades, set in a park with centenary trees and facing the Mont Canigou. Free WiFi access is available. Each room features a flat-screen TV and a private bathroom with a shower, a hairdryer and free toiletries. Breakfast is included for the rooms and served every morning. Homemade dinner can be prepared for the hosts if requested 24 hours in advance. Villa du Parc offers a shared lounge, a terrace, a patio and luggage storage. Free outdoor parking for cars and free garage parking for motorcycles and bicycles are available on site. Three-Bedroom Holiday Home in Taurinya is located in Taurinya. Guests have access to free WiFi. The holiday home comes with a TV and 3 bedrooms. The kitchen is equipped with a dishwasher and a microwave, as well as coffee machine. Perpignan is 49 km from the holiday home, while Font-Romeu is 47 km from the property. Perpignan - Rivesaltes Airport is 53 km away. Featuring accommodation with a private pool, Holiday home Prades 9 is situated in Prades. This holiday home offers accommodation with free WiFi. The holiday home includes a living room with a TV and a DVD player. The kitchen comes with a dishwasher. The holiday home offers an outdoor pool. Perpignan is 45 km from Holiday home Prades 9. The nearest airport is Perpignan - Rivesaltes Airport, 48 km from the property. Bellevue Villa is a self-catering accommodation located in Prades. Free WiFi access is available. Accommodation will provide you with a TV, air conditioning and a balcony. There is a full kitchen with a dishwasher and a microwave. Featuring a shower, private bathrooms also come with a hairdryer. You can enjoy mountain view and city view. At Bellevue Villa you will find barbecue facilities. The property offers free parking. Prades Train Station is 1.2 km away. Featuring free WiFi and a seasonal outdoor pool, Maison 225 offers pet-friendly accommodation in Prades, 40 km from Perpignan. All rooms include views of the mountains and garden. Free private parking is available on site. All rooms include a flat-screen TV. Some rooms have a seating area for your convenience. Each room is fitted with a private bathroom with free toiletries and a hair dryer. Breakfast is served every morning from 8:30 to 10:30. A self-service option is available upon prior request the night before. Font-Romeu is 35 km from Maison 225, while Puigcerdà is 45 km away. The nearest airport is Perpignan - Rivesaltes Airport, 39 km from Maison 225. You will find luggage storage space at the property. Located in Prades town centre, Villa Lafabregue is a Bed & Breakfast offering an outdoor swimming pool and a garden with barbecue facilities. Some rooms have a private terrace with views of the Pyrenees Mountains. Guest rooms are individually decorated and are equipped with a television, a DVD Player and a mini-fridge. Some rooms also feature an ornamental fireplace. All rooms have a private bathroom. At Villa Lafabregue, breakfast is served every morning. After breakfast, guests can relax in the lounge area with views of the garden, whilst using the free WiFi connection. With free private parking on site, this guest accommodation is just 5 minutes from many shops, bars and restaurants. Perpignan International Airport is 50 km away. Situated 40 km from Perpignan and 33 km from Font-Romeu, Gite Madres offers accommodation in Prades. It features a 5000 m² shared garden with a pond, a shared swimming pool, free private parking and free WiFi . The Gite Madres has a combined kitchen and living room, with an oven, a stove top, a microwave, a fridge-freezer, a dishwasher, a toaster, a kettle and a coffee maker. 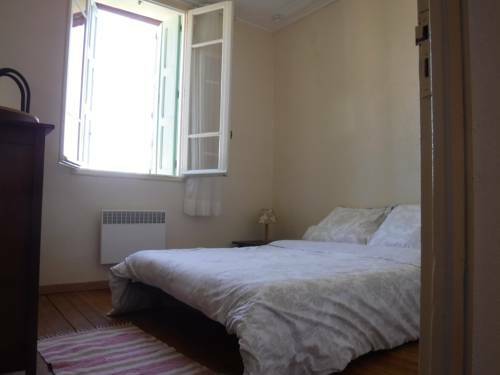 It features a washing machine and a dryer, shared with another gite. Bars, restaurants and shops are a 5-minute walk away from Gite Madres. The medieval town of Villefranche de Conflent, and one of the stations of the Train Jaune is 6km from Gite Madres, while beaches are 60 km away. Perpignan - Rivesaltes Airport is 39 km from the property. This Logis Hotel is located in the village of Prades, at the bottom of Mount Canigou. It offers soundproofed accommodation with free Wi-Fi, LCD TV and private bathrooms. Hotel Hexagone features a terrace a garden and that looks onto the Pyrenees Mountains. Breakfast is served daily and guests can play board games on site. Free parking is available on site and the Hexagone is a 45-minute drive from Perpignann, the ski slopes and the Mediterranean Sea. Local leisure activities include hiking and the hotel includes a cycle garage. Hotel les Glycines is situated in Prades, just 3 km from Saint-Michel-de-Cuxa Abbey in the Languedoc-Roussillon region. Guests are invited to relax on the garden terrace or play billiards in the lounge. The guest rooms at Hotel les Glycines include a flat-screen TV with cable channels, and wired internet is available. Each room has a private bathroom with a hairdryer and free toiletries. A buffet-style breakfast is available every morning at Hotel les Glycines. The centre of Perpignan is 44 km away. The property is 10 km from the Pic du Canigou and 52 km from Llivia. Free private parking is available on site, but availability is limited. Set in Jujols, Gite Canigou features accommodation with a terrace and free WiFi. The property features mountain views. Offering 3 bedrooms and 1 bathroom with a bath, this holiday home has a satellite TV and DVD player. The kitchen is equipped with a dishwasher. Font-Romeu is 34 km from the holiday home. Perpignan - Rivesaltes Airport is 68 km away. Situated in Jujols in the Languedoc-Roussillon region, MADRES CORONAT a JUJOLS 66360 has a terrace. This holiday home features a 24-hour front desk and free WiFi. The holiday home includes a living room with a TV and a DVD player. The holiday home also provides 1 bathroom with a shower. The holiday home offers a barbecue. Font-Romeu is 34 km from MADRES CORONAT a JUJOLS 66360, while Puigcerdà is 49 km from the property. Perpignan - Rivesaltes Airport is 68 km away. Located in Sahorre, Belle Vue offers a self-catering apartment on an estate with an outdoor swimming pool, hot tub in a wooden chalet and garden chess. Vernet-les-Bains is 4 km away. The apartment features its own private entrance, a living room with a flat-screen TV and DVD player, a dining room, washing machine, ironing facilities and bathroom. The kitchen includes an oven, dishwasher, refrigerator and enough cutlery for 12 guests. A separate shower room and toilet can be found on the upper floor by the bedrooms. Restaurants can be found within 4 km of the property and there is also a children’s playground, table tennis and pétanque court. There are opportunities for walking or running in the immediate area. Fort Romeu Ski Station is 44 km away and Spain is just under 1 hour’s drive from the property. Located in Prades, L'éveil nature offers accommodation with a private pool, free WiFi and private parking. The 2-star holiday home features mountain views and is 46 km from Perpignan. Opening onto a terrace, the holiday home consists of 2 bedrooms and a fully equipped kitchen. A TV is featured. Font-Romeu is 45 km from the holiday home, while Les Angles is 50 km from the property. The nearest airport is Perpignan - Rivesaltes Airport, 49 km from L'éveil nature. Featuring free WiFi, Maison Prades is situated in Prades. The guest house features a shared lounge. The rooms in the guest house are equipped with a kettle. Every room has a private bathroom with a hair dryer, while some feature mountain views. Guests at Maison Prades can enjoy a continental breakfast. Perpignan is 44 km from the accommodation, while Font-Romeu is 44 km away. The nearest airport is Perpignan - Rivesaltes Airport, 47 km from Maison Prades. Paradis Gite is located in Prades and offers free bikes and a seasonal outdoor swimming pool. Featuring pool views, a garden and a private pool, this holiday home also features free WiFi. This air-conditioned holiday home comes with a kitchen, a seating area, a dining area and a satellite flat-screen TV. The holiday home offers a barbecue. There is a terrace at this property and guests can go skiing nearby. Perpignan is 44 km from Paradis Gite, while Font-Romeu is 45 km away. Perpignan - Rivesaltes Airport is 47 km from the property. Featuring a lovely garden with an 8 x 4 metres above-ground pool, a hot spa and a summer kitchen with BBQ facilities, this family-style property is located in Sahorre. This bed and breakfast also provides free WiFi and free private parking on site with an electric vehicle charging station. Set on the ground floor and opening onto the garden, rooms at Beau Vallon provide a private entrance, a patio with garden furniture and a private bathroom. Breakfast is included in the price and is served daily in the dining room or in the garden. You can prepare your own lunch/dinner in the communal kitchen, and restaurants can be found within a 5-minute walk. Set in the mountains, this property is perfectly located for local hiking opportunities. Beau Vallon is 7 km from UNESCO World Heritage-listed site of Villefranche de Conflent, The Yellow Train, and approximately 1-hour drive from Spain. Offering a plunge pool, Beau Vallon is located in Sahorre at the foot of the Pyrenees on the river Rotjà. Free WiFi access is available in this self-catering accommodation. Accessed via a private entrance, the studios are located on the ground floor and open on to the garden and a patio. There is a fully equipped mini kitchenette with a microwave and a refrigerator. The private bathrooms come with a shower. At Beau Vallon you will find a garden with a summer kitchen and outdoor games available. If you feel like visiting the surroundings, Villefranche de Conflent, a UNESCO World Heritage-listed site, is only 7 km away. This accommodation is 48 km from Perpignan - Rivesaltes Airport. The property offers free parking. Hotel Casteil Preferred hotel ! La Mirabelle-casteil is a 2-star property located in Casteil. Among the various facilities are a garden as well as a licensed restaurant and brasserie. Each room comes with mountain view and free WiFi. The property has a swimming pool. All guest rooms at the hotel come with a flat-screen TV. All rooms are fitted with a private bathroom with a hair dryer, while some boast garden views. All units include a desk. A continental breakfast is offered daily. Guests can take part in various activities in the surroundings, including skiing and cycling. Tennis and badminton can also be played on site. Perpignan is 45 km from La Mirabelle-casteil. The nearest airport is Perpignan - Rivesaltes Airport, 45 km from the property. Abbey Saint Martin du Canigou is 30min walking from the property. Set in Casteil, Les chalets Quazemi features accommodation with free WiFi. Each unit is comprised of a kitchen with a dining area, a coffee machine and a microwave, a living room with a sofa, and a private bathroom with free toiletries. A terrace with mountain views is offered in each unit. The chalet offers a barbecue. Guests at Les chalets Quazemi can enjoy cycling and fishing nearby, or make the most of the garden. Font-Romeu is 45 km from the accommodation. Perpignan - Rivesaltes Airport is 61 km from the property. Located in Casteil, Las Aires is a chalet with access a seasonal outdoor pool. 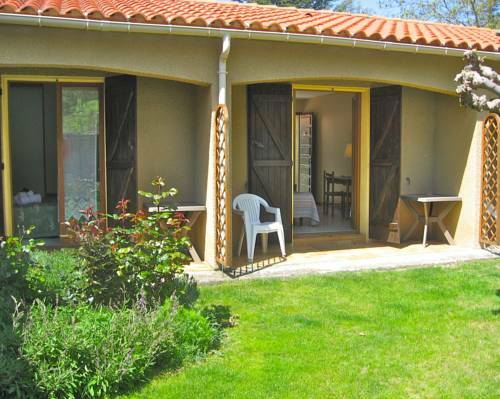 The property is 45 km from Perpignan and boasts views of the mountain. Free WiFi is provided throughout the property and free private parking is available on site. A microwave and a toaster can be found in the kitchenette. A flat-screen TV with satellite channels, as well as an iPod docking station and a CD player are featured. Other facilities at Las Aires include a barbecue. Free use of bicycles is available at the property and the area is popular for cycling and hiking. Font-Romeu is 29 km from Las Aires, while Puigcerdà is 40 km from the property. The nearest airport is Perpignan - Rivesaltes Airport, 46 km from Las Aires. 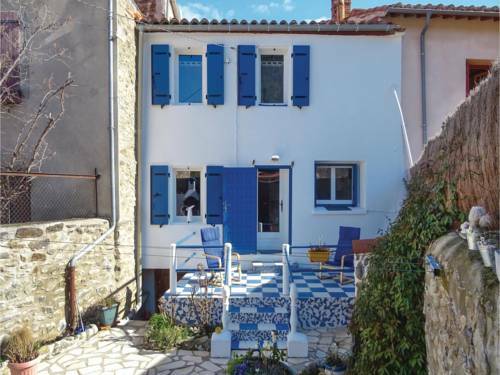 Maison du pâtre is a semi-detached holiday home with a hot spring bath located in the small village of Urbanya in the Languedoc-Roussillon Region. The property is 62 km from Perpignan and boasts views of the mountain. Free WiFi is available throughout the property. On the ground floor there is a bathroom and a toilet and there is a living room on the first floor. On the second floor, guests will find a double bedroom and there is a further double bedroom on the mezzanine level. The kitchen features an oven. A flat-screen TV and DVD player are provided. Shops and restaurants can be found in Prades, 17 km away. Font-Romeu is 56 km from Maison du pâtre, while Puigcerdà in Spain is 70 km away. You can engage in various activities, such as skiing, hiking and cycling. The nearest airport is Perpignan - Rivesaltes Airport, 64 km from the property. Mas du Canigou offers self-catering holiday cottages with use of an outdoor swimming pool and a hamman. They are located in Los Masos, 20 km from Canigou Mountain. Each cottage has a private entrance and features either a balcony or patio offering views of the surrounding area. They are decorated in a rustic style and have an equipped kitchenette with a dining area and a living room. Outdoor activities on offer at Mas du Canigou include a swimming pool, BBQ facilities and a terrace with sun loungers. For a supplement, guests are invited to relax in the on-site hamman. Massage and beauty treatments are available upon request. For guests with cars, free private parking is available on site. Mas du Canigou is located 40 km from Perpignan and 50 km from Canet-en-Roussillon. Featuring accommodation with a terrace, L' unisson is set in Olette. Guests staying at this holiday home have access to a fully equipped kitchen. The holiday home has 1 bedroom and 1 bathroom with a shower and a hair dryer. A flat-screen TV with cable channels is provided. Font-Romeu is 31 km from the holiday home, while Puigcerdà is 46 km from the property. Perpignan - Rivesaltes Airport is 67 km away. Le Fenil d'Evol Holiday home is situated in Olette in the Natural Park of the Catalan Pyrenees, amongst nature reserves and mountains. The accommodation features a flat-screen TV, a garden and mountain views. There is a fully equipped kitchenette and a private bathroom with a bath or shower and slippers. An array of activities can be enjoyed on site or in the surroundings, including skiing, cycling and hiking. The property offers free parking. Perpignan, the last major town in France before the Spanish border, is an hour away by car. Offering free WiFi and mountain views, Holiday Home Finestret with a Fireplace 09 is an accommodation situated in Finestret. Guests staying at this holiday home have access to a fully equipped kitchen. The holiday home includes 3 bedrooms and a living room with a TV. Perpignan is 41 km from the holiday home. The nearest airport is Perpignan - Rivesaltes Airport, 44 km from the property. Boasting accommodation with a terrace, Baillestavy Maison de Lounge is situated in Baillestavy. Guests staying at this holiday home have access to free WiFi. This holiday home features 2 bedrooms, a kitchen with a dishwasher and a microwave, a flat-screen TV, a seating area and 2 bathrooms with a bath. Perpignan is 48 km from the holiday home. The nearest airport is Perpignan - Rivesaltes Airport, 52 km from the property. Set in Talau, Holiday home camp del pla provides accommodation with a balcony and free WiFi. The property features garden views and is 26 km from Font-Romeu. The holiday home includes a kitchen with an oven and a microwave, as well as a coffee machine. A TV is offered. The holiday home offers a barbecue. Puigcerdà is 42 km from Holiday home camp del pla, while Les Angles is 19 km away. Perpignan - Rivesaltes Airport is 80 km from the property. Below here is the hotels map of Villefranche-de-Conflent. Names and details of Villefranche-de-Conflent hotels can be shown on the map clicking on the prices icons.